For an entirely different perspective on this sprawling city, a cruise along the Sumida may be your best bet. The 40 minute cruise is an especially welcome relief after a morning of walking around the city searching for sites of interest. Along the way you’ll pass under a dozen historic bridges, each one unique and architecturally interesting. At the end of the cruise you’ll be perfectly positioned for a walk around Asakusa (Old Downtown Edo). A child’s paradise — videos (including English language selections), playground, games. Arts and crafts are also featured. Ride bicycles (available free from 9 a.m. – 4 p.m.), fly kites, or picnic. Or simply stroll through the park and its adjacent iris garden. Like much of Tokyo, Ueno park is a huge bundle of contradictions. While the park is home to the zoo, the Tokyo National Museum and numerous shrines, cultural and historical points of interest, it is also home to Tokyo’s homeless population. The month of April, when all of Tokyo seems to celebrate cherry blossom season at the park — it can get wild in the park. The statue of the legendary Samurai Takamori Saigo and his dog. Saigo was a 19th century samurai who led a revolt against the Meiji regime. This is the statue Gen. MacArthur wanted removed because he was afraid it would incite too much nationalistic pride. Ultimately he left the statue where it stands after an enormous public protest. Also of interest is the Toshugo Shrine (circa 1651) and its path of giant stone lanterns (gifts from feudal lords). The Kiyomizu-Dokannon Temple is where women wishing to become pregnant come to pray to the Goddess of Mercy (fill in your own punch line). Those whoâ€™s prayers are answered return to pray for the health of the child. Many leave dolls behind as a sort of offering. Once a year (in late-September) the dolls are gathered up and burned during a Buddhist ritual. Harajuku Park is legendary for the culture clash that presents itself there on Sunday afternoons. Years ago some Rockabilly Rebels began dancing to old 50’s music and the rest has become an international legend. The truth of the matter is that these Japanese Rockabilly geeks are not aging so gracefully. The Sunday afternoon band scene also seems to have died out somewhat. On a recent Sunday afternoon the park was flooded with black clad death rockers advertising their devotion to something called “Lunasea”. If you’re looking for a relaxing afternoon in the park, this is the place to be. If you want to view young-trendy Tokyo in action, leave the park and wander around the surrounding streets of Harajuku. You won’t see much of the actual palace. (An application and reservation are necessary for a tour.) It’s closed to the public (except on New Year’s Day and the Emperor’s Birthday on Dec 23), but parts of the exterior can be viewed from the Nijubashi Bridge; the wide moat stocked with koiand lined with cherry trees are perfect for an afternoon stroll; the Higashi Goen (East Garden) marks the site of old Edo Castle and has wide paths for walking. 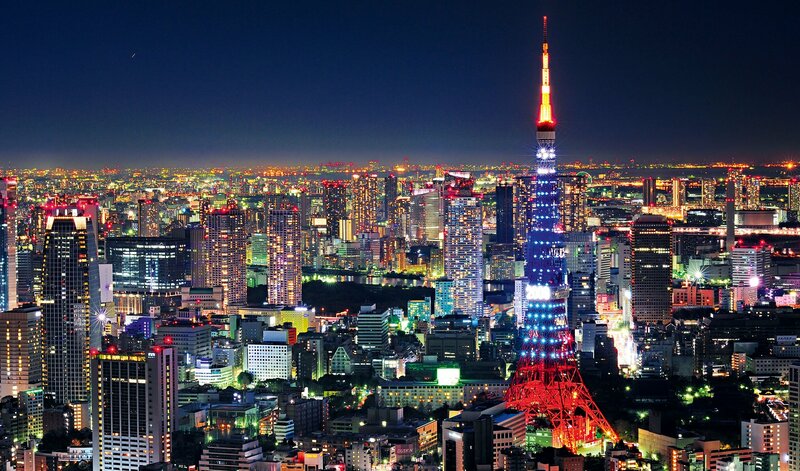 Modeled after the Eiffel Tower, Tokyo Tower is both a city landmark and a wonderful platform from which to see the city. At 333 meters Tokyo Tower is the world’s tallest self-supporting iron tower, a full 13 meters taller than the tower it was modeled after. There are two decks that offer visitors a chance to view Tokyo from 150 meters and 250 meters. A variety of attractions are also featured at ground level (also known as “foot town”). 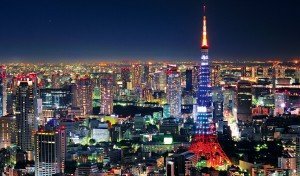 You’ll definitely want to make a point to visit Tokyo Tower on your next trip. Observatories are located in both the north and south towers of the Number 1 building and offer 360 degree views of the city and surroundings. A snack bar and souvenir shop is available. The elevator will stop at the second floor on your descent — displays (in Japanese) give a short history of Tokyo. Take what’s billed as the world’s fastest elevator to the 60th floor of the Sunshine City Building to enjoy views of the city and its surrounding areas. One floor down is a coffee shop for relaxing while enjoying the views.